West Lakes Academy is celebrating an ‘Outstanding’ Ofsted report. The academy was awarded the highest possible rating in all five key areas of assessment –Leadership and Management, Teaching and Learning, Personal Development, Behaviour and Welfare, Post-16 Provision and Outcomes for students. 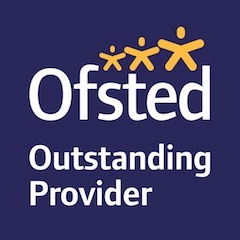 Teaching is outstanding because teachers receive excellent training, they know their pupils extremely well and work collaboratively with teaching assistants to make sure that no pupils are left behind. The school’s five core values: appreciation, respect, resilience, freedom and achievement, pervade all aspects of school life. These values bind pupils together and give them a strong sense of belonging and pride in their school. Pupils arrive at school resolute to work hard and as a result they flourish in a caring and inclusive culture. Pupils currently in the school are making rapid and sustained progress across all subject areas. The principal, governors and senior leaders are highly ambitious for every pupil and student in the school; they have communicated a clear vision that makes high-quality teaching and learning the number one priority. The behaviour of pupils is outstanding. Behaviour is exemplary both around the school and in lessons. Pupils show a high level of respect for each other and are polite and well-mannered to adults and visitors to the school. Sixth-form students are a credit to the school and their families. The excellent progression rates to university and apprenticeships are testimony to their outstanding achievements at school. The school takes good care of its pupils. The vast majority of parents who completed Ofsted’s online questionnaire agreed. Many cited the extent to which teachers go above and beyond the call of duty to make sure that their child fulfils their potential. The view expressed by one parent that, ‘it is an absolute privilege to tell people that my child attends West Lakes Academy,’ is a sentiment expressed by many others. Pupils overwhelmingly report that they feel safe in school. This was echoed by parents and staff in their responses to the online questionnaires they completed during the inspection. Teachers are enthusiastic and talented. Their passion for their subjects pervades their teaching. This is often infectious for pupils who are then eager to immerse themselves in learning. Teachers want nothing but the best for their pupils who are equally aware of their teachers’ high expectations. The quality of work seen in pupils’ workbooks was exemplary. Homework is given regularly and the work set provides plenty of opportunity for extended and purposeful writing. The overall attendance rate has increased year on year since the last inspection and was well above average in 2016. The high standard of presentation of work in pupils’ books shows that they care about and have pride in their work. Behaviour in lessons is purposeful and collaborative; pupils move with ease between different activities whether directed by adults or by groups they are working with. Learning is very rarely disrupted. (Sixth-form) Students make a major contribution to the positive ethos of the school. They are charismatic, engaging and confident young people and therefore excellent role models for younger pupils. The quality of careers information, advice and guidance is outstanding. Pupils and students make choices that are well informed because of the contribution made by employers, governors and other professionals at key points.